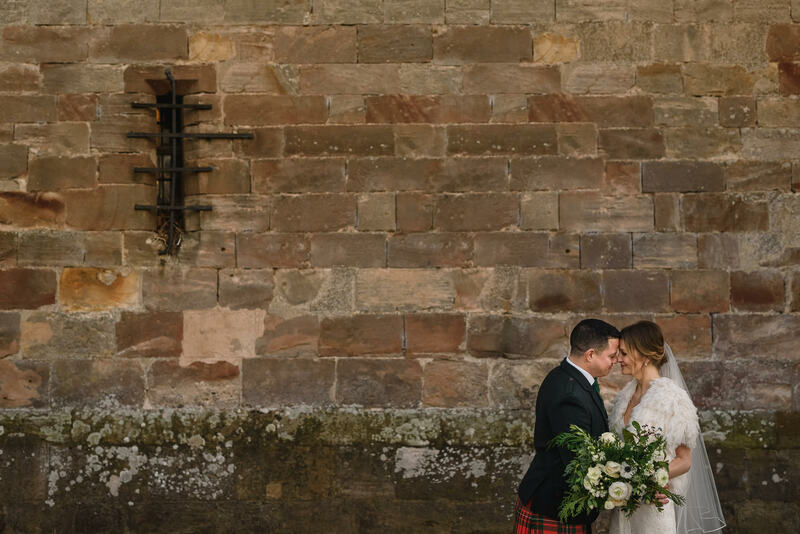 "'I could stay with you forever and never realise the time" Sarah & Andrew, Borthwick Castle, Scotland, UK. 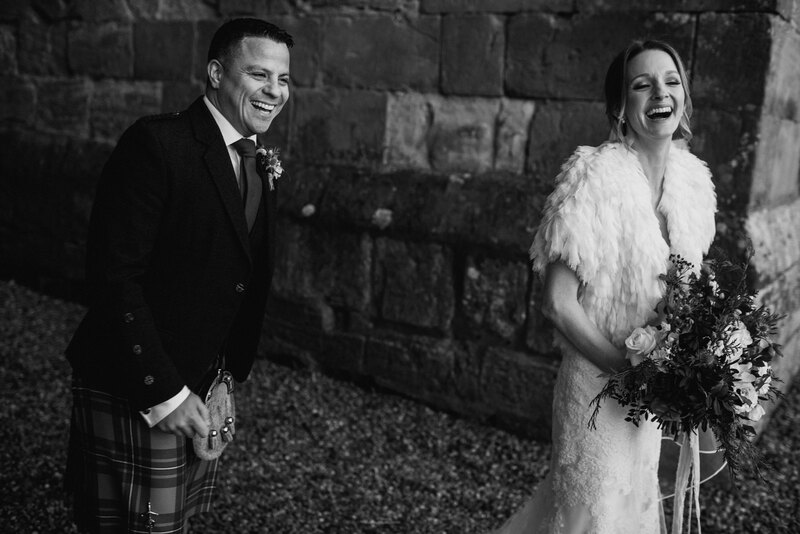 Sarah and Andrew choose the stunningly beautiful and charismatic Borthwick Castle in Scotland for their amazingly wonderful winter wedding. 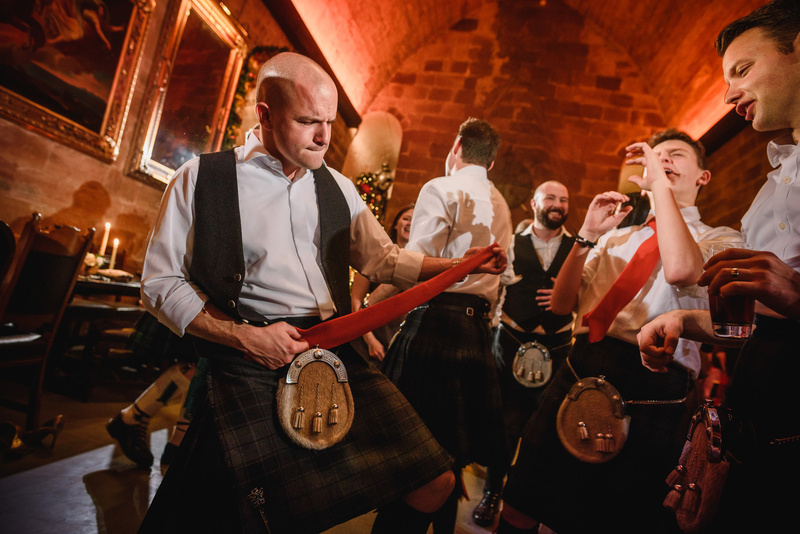 A day steeped in tradition, including fabulous festive touches, bagpipes and haggis! 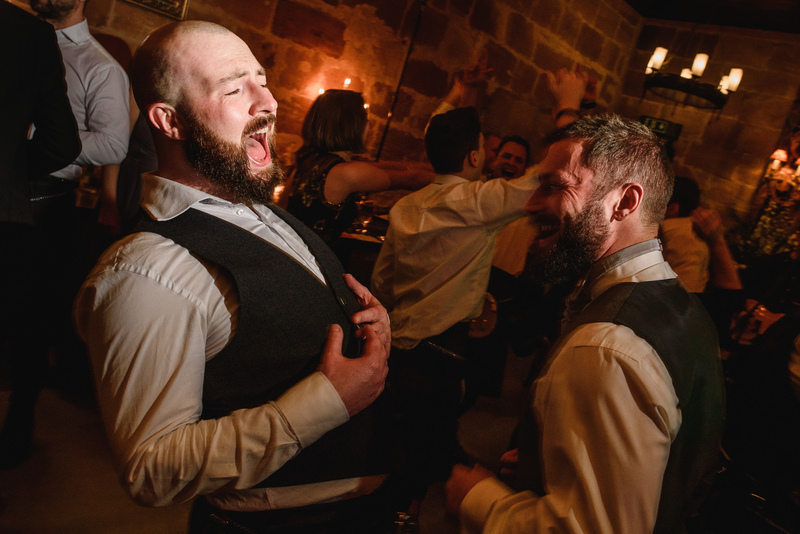 Find out about my availability for your wedding by dropping me a line here. 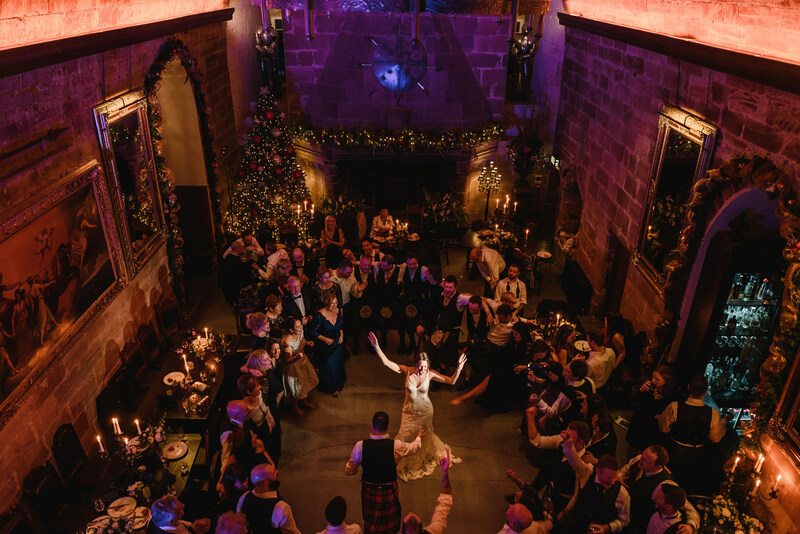 Borthwick Castle located just 30 minutes outside Edinburgh was the perfectly lavish venue for Sarah and Andrew to host their winter wedding. American Sarah met and fell in love with Scottish Andrew, and Scotland itself. 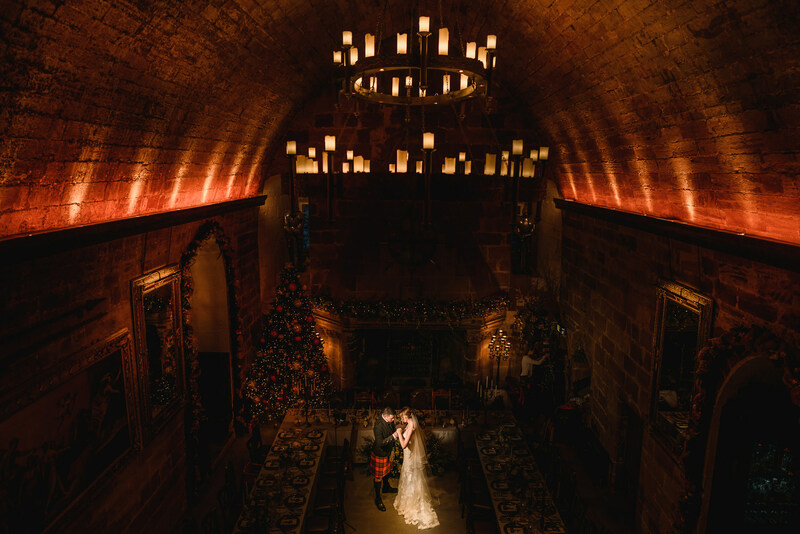 A Christmas Wedding Borthwick Castle suited Sarah and Andrew perfectly. 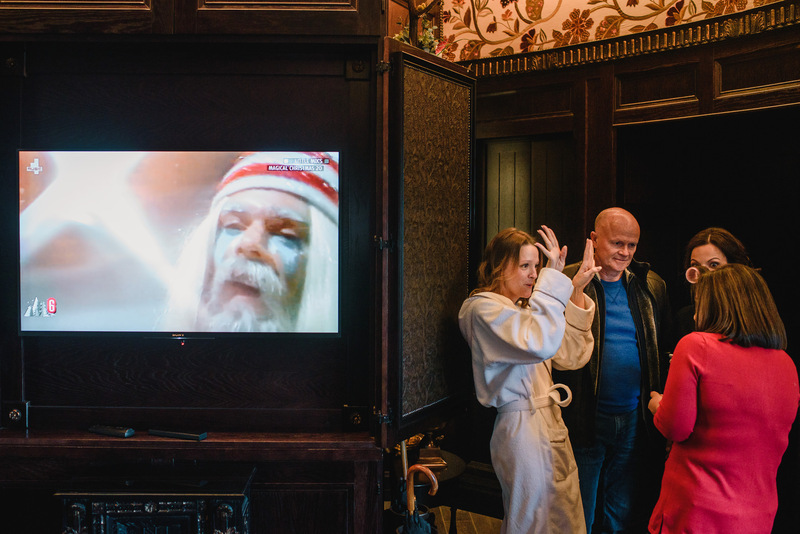 It was mid-December and the castle was beautifully decked out for a traditional Christmas. 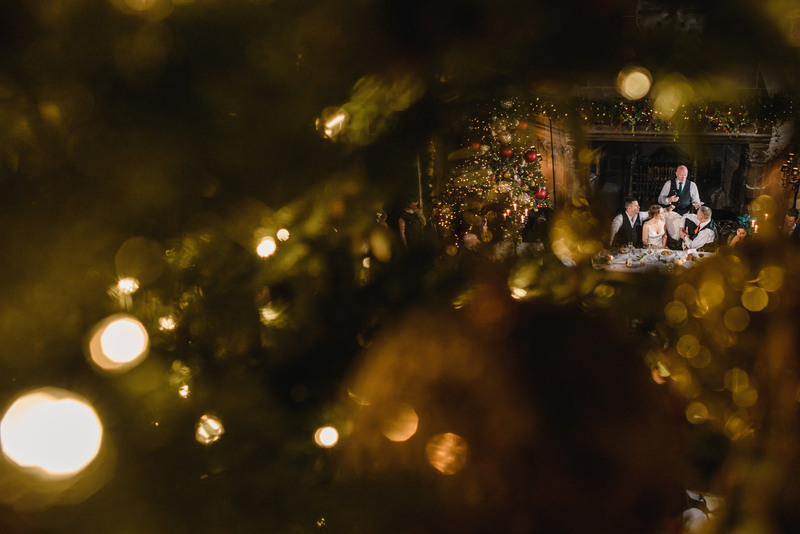 Winter weddings can come with their challenges, and this one was no different! 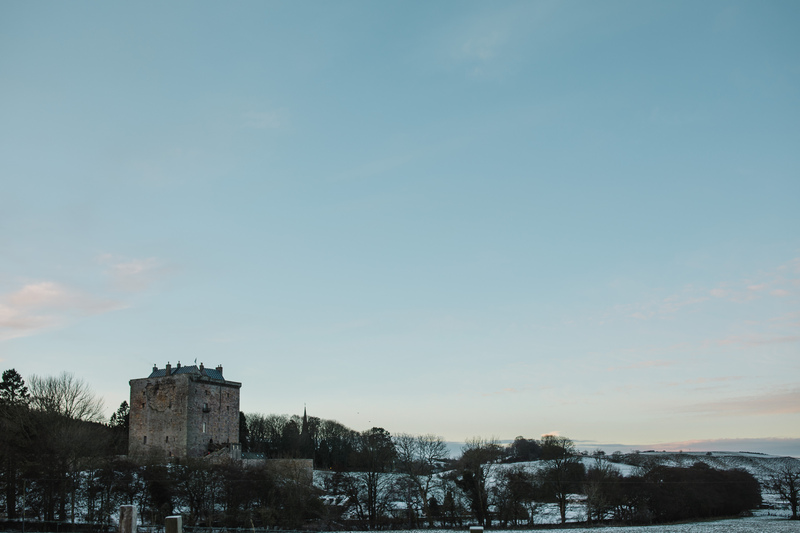 Due to ice and snow, roads leading to the castle had been closed off and suppliers struggled to make it through. But made it through they did, the wedding just had to happen. 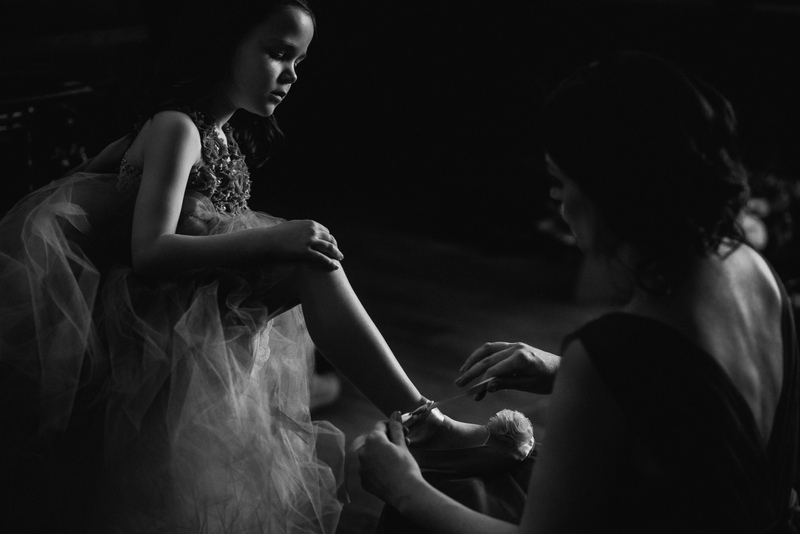 Sarah got ready in a suite located next to the castle, and Andrew in his luxurious suite at the castle, before departing for the ceremony at the nearby church. 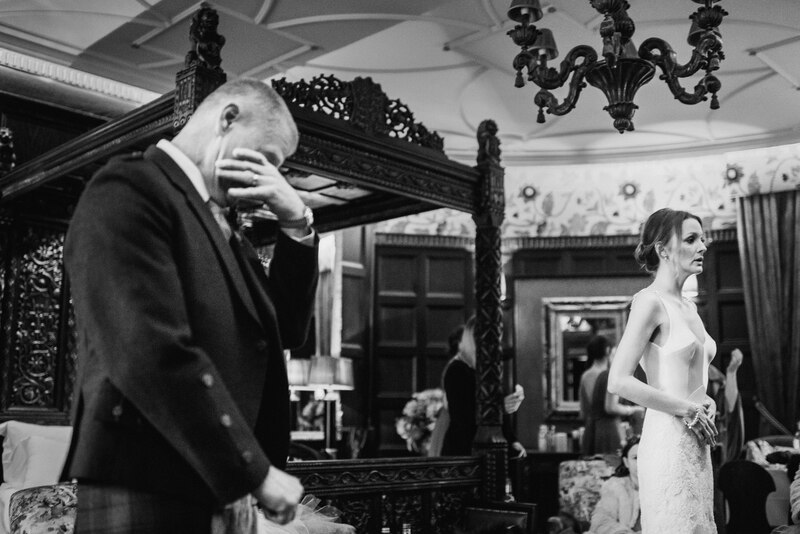 Sarah’s dad broke down at his first look at his daughter in her wedding dress. It was beautiful to see the emotion and clear love for one another. Sarah’s brother’s gave some beautiful readings at the ceremony and her sister was one of the three bridesmaids. 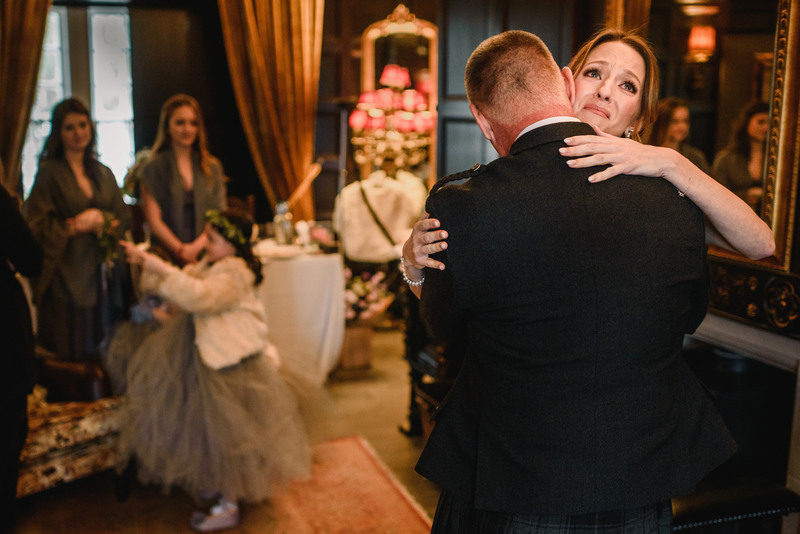 Family was very clearly so important to the couple for their Christmas wedding Borthwick Castle. 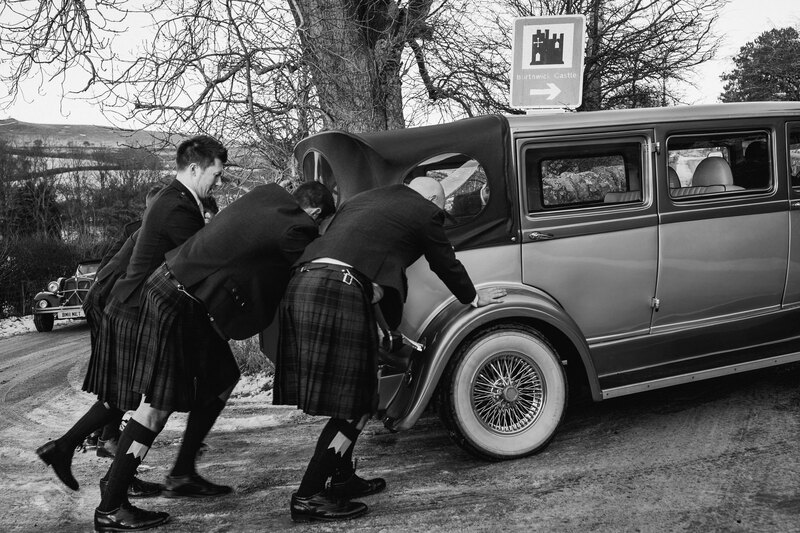 The struggles continued on the way back to the castle with the wedding car getting stuck on ice. However, what else are best men for? A bit of manpower got the car moving again. Andrew had chosen his groom’s men well! 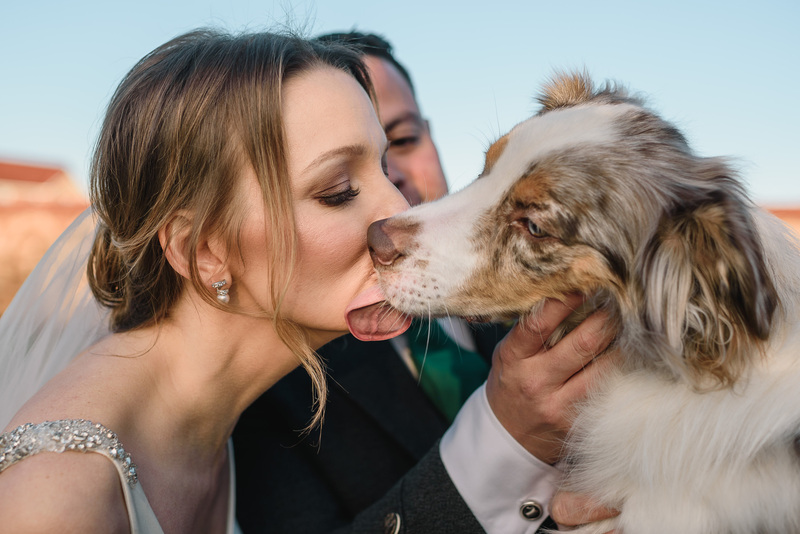 Although there is no dog’s rule for the castle, Sarah and Andrew’s wedding day would not have felt complete without their pride and joy, Finley. So their dog-sitter kindly brought him to the church to congratulate the happy couple and get in some of the photographs. 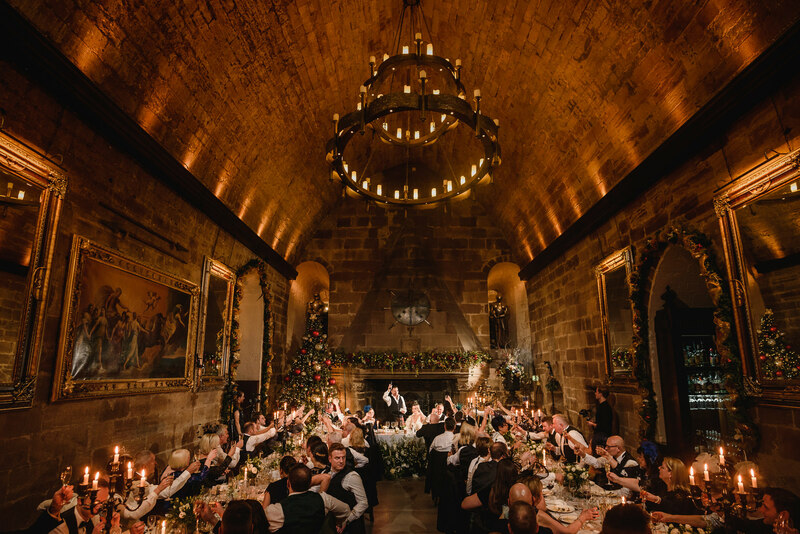 The meal and evening party took place in the magnificent great hall that was festively decorated with traditional touches for their Christmas Wedding Borthwick Castle. 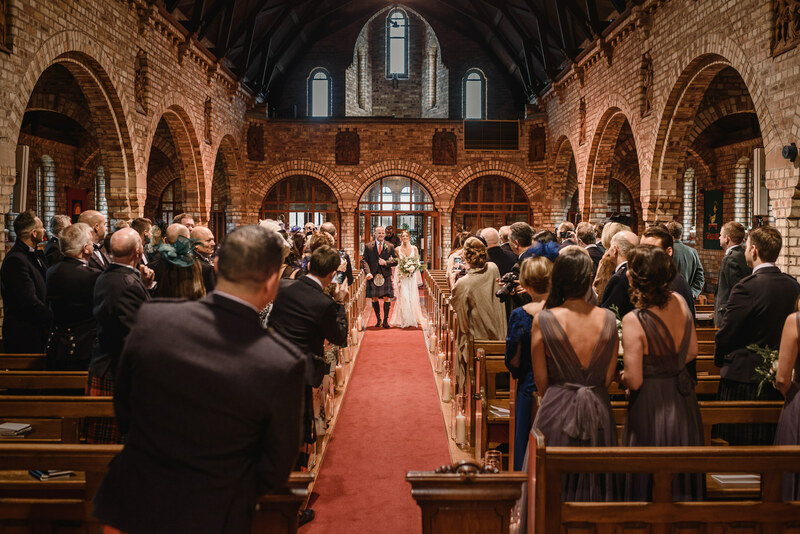 No Scottish wedding meal would be complete without piping in the haggis, and the piper led the way as the haggis was brought to the main table. For the evening celebrations, the tables were cleared to create a grand and impressive dance floor that the guests made full use of. 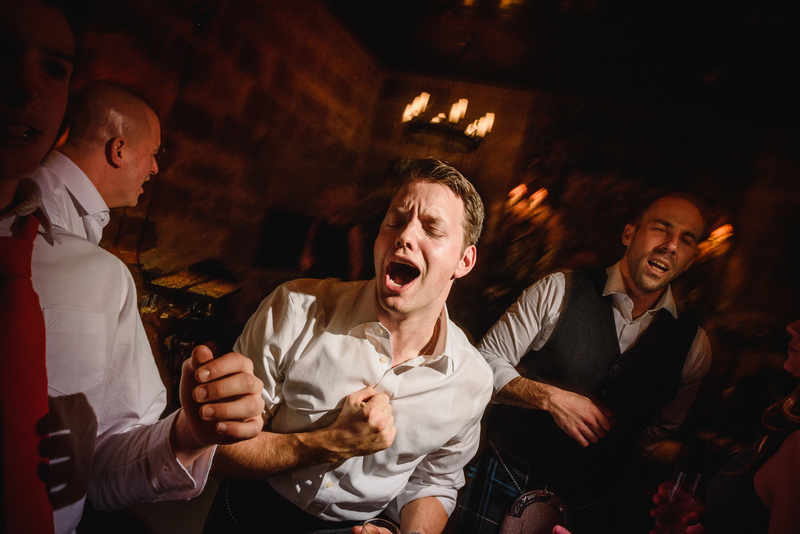 The evening band got people on the dancefloor, and the evening entertainment also topped off with a Ceilidh. 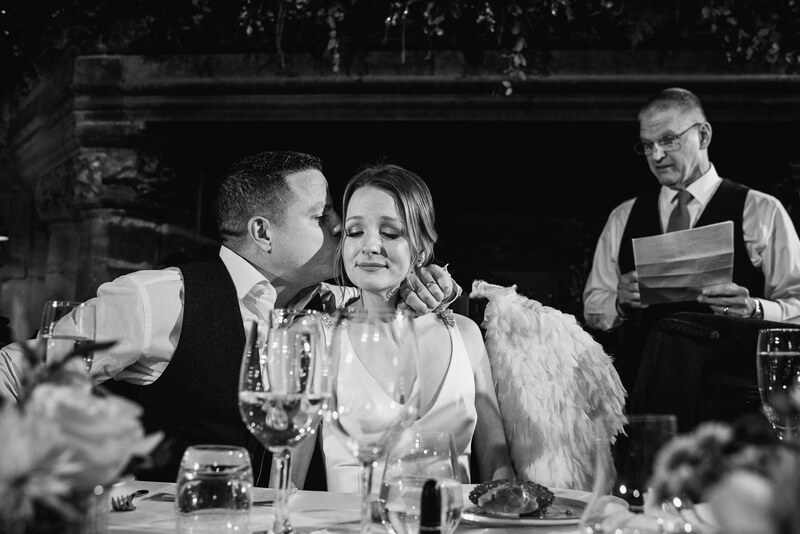 Sarah and Andrew ended the night with Frank Sinatra’s New York, New York. It was such an amazing day and it was fantastic to be able to provide the couple with memories that they will treasure forever. 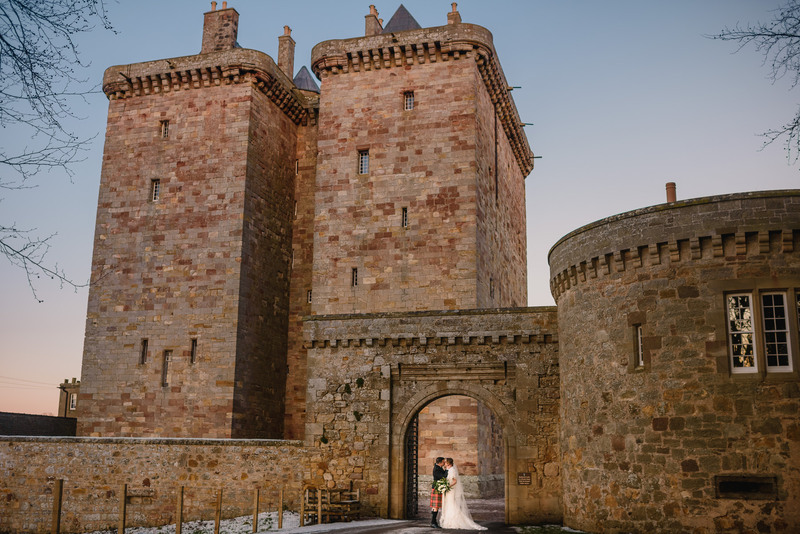 Borthwick Castle near Edinburgh really is an amazing venue for those seeking a more traditional wedding filled with grandeur. I looked absolutely perfect for a winter wedding. 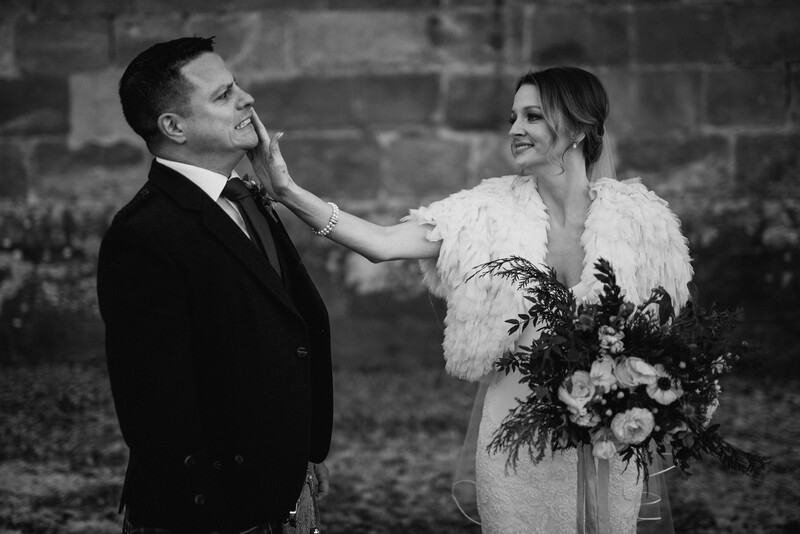 If you are looking to get married a Borthwick Castle, or in fact anywhere else, then do drop me a line – I’d love to hear more about you both and your wedding plans. 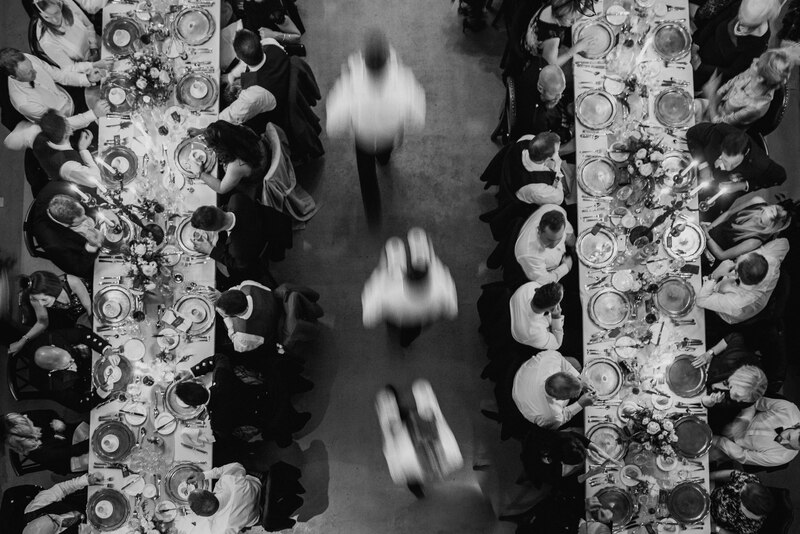 You can find out more about how I like to work and see further examples of weddings on my website. 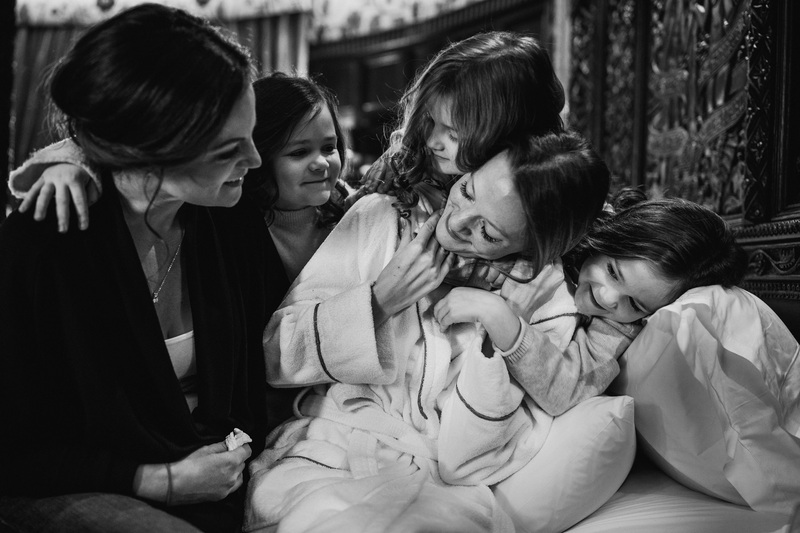 I only take on a limited number of weddings each year and I’d love yours to be one of them! Get in touch here.